A 10-foot-long shark has been shot dead off the coast of Western Australia, the first to be killed as part of a controversial and misguided plan to keep swimmers safe by randomly destroying sharks out at sea. Since the government approved the cull last week, baited hook lines have been installed 1 kilometer off of several popular beaches to snare sharks following six deadly attacks in the last two years. Despite protests over the plan, and warnings from experts that such methods are ineffective, the plan appears to be moving ahead full steam. 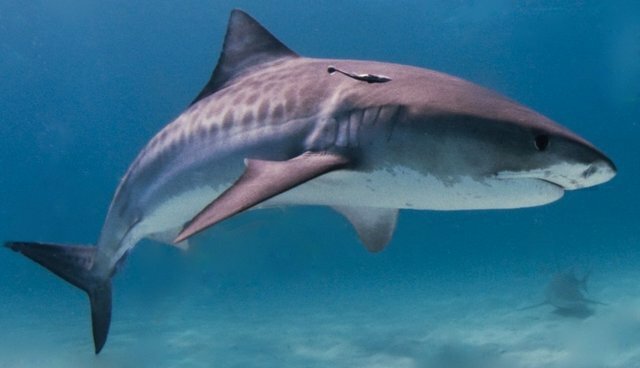 The first animal, a tiger shark caught near Meelup Beach, was shot four times in the head at close range and dumped out at sea. Piers Verstegen, director of the Conservation Council of Western Australia, says that as the death toll from the cull rises, it will only face more criticism. "This is just going to increase the level of public opposition to the shark cull when people see images and hear stories of these sharks being culled," he says. Meanwhile, activists have begun to take measures to protect sharks from the cull, removing bait from the lines placed offshore to prevent more animals from being caught and killed. Sea Shepherd Australia managing director Jeff Hansen calls the cull "utterly cruel and inhumane." "How can we condemn Japan for the indiscriminate killing of whales and dolphins, and do this to our precious protected marine life here in Australia?" says Hansen. Contracted fishermen have been authorized to kill sharks found near popular beaches until the end of April.